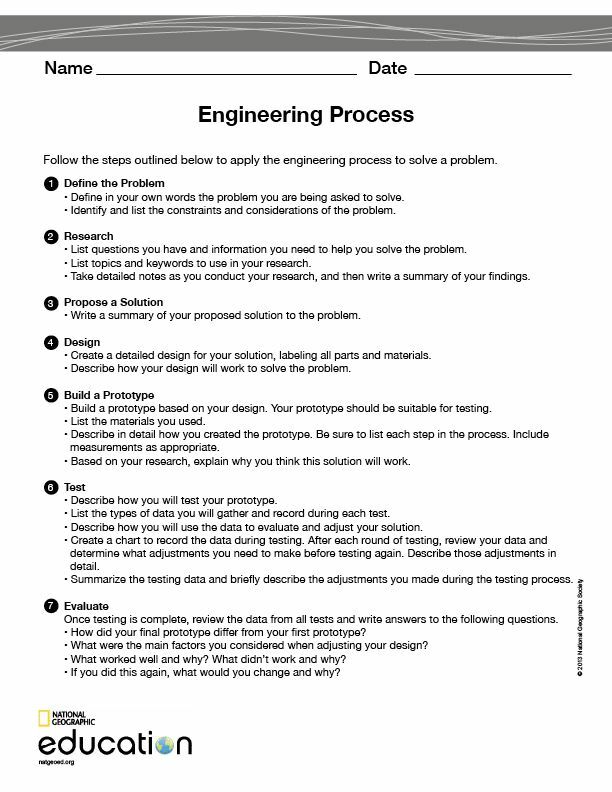 The engineering process is a series of steps engineers use to help them solve problems. The process is a cycle in which engineers repeat steps as often as necessary to come up with the best solution. Use this document as a guide for solving all sorts of problems.